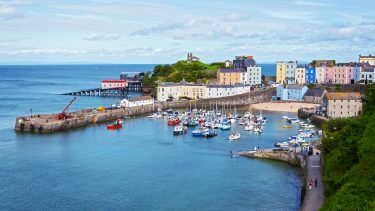 With intimidating castles seemingly at every turn, framed by vast, gasp-inducing scenery alongside the cutest of pocket-size villages, Wales has every ingredient required to cook up a holiday full of adventure, discovery and relaxation. We’ve taken time and care to create this fortnight-long grand tour of Wales by train, matching journeys by national rail service with steam-hauled nostalgia, adding in private and small-group day tours, topped with comfortable nights spent in characterful accommodation. We promise this tailor-made trip will help you explore beyond the train lines, ensuring you get under the skin of this fascinating country and its culture. extend your trip with a stay in the charming English city of Bath? 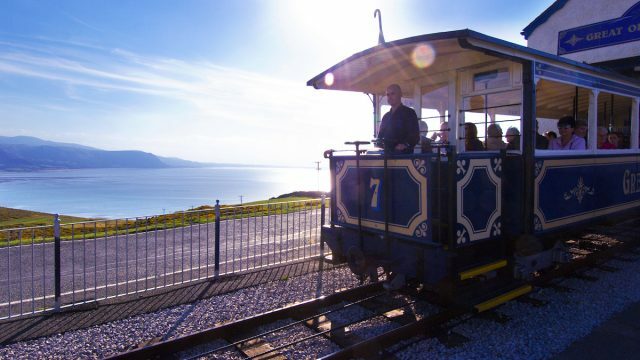 Make your way to the classic Victorian seaside town of Llandudno – just let us know if we can assist with inbound train journeys as that can all be part of our tailor-made service. 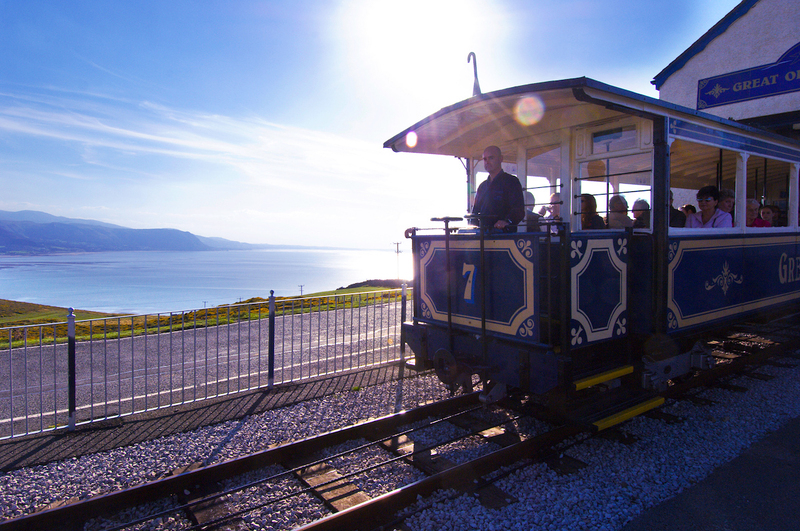 From the station here it’s a short taxi-ride to your accommodation, where we suggest dropping your luggage and heading on to the impressive Great Orme peninsula via the UK’s only surviving cable-drawn tramway. Centrally located, just a block or two from the sea, your accommodation in Llandudno is the very friendliest of traditional guest houses, whose experienced owners have a gift for putting guests immediately at ease. Unfussy, comfortable rooms ensure a restful night, while the breakfast of local produce and homemade bread and preserves sets you up for a full day’s exploration. 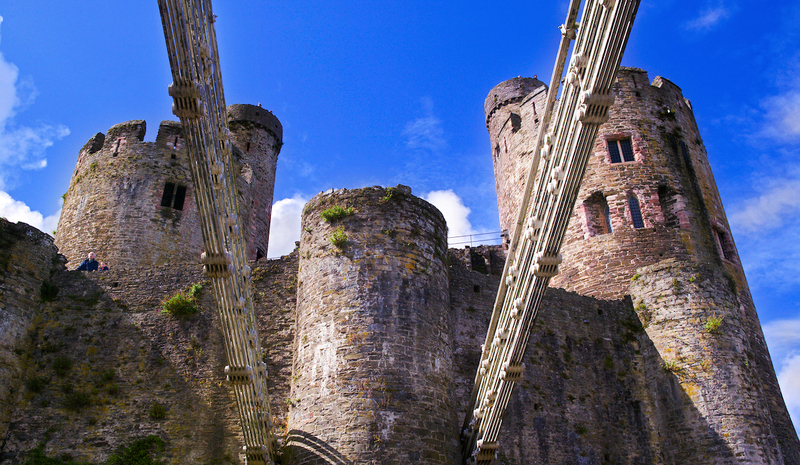 Take the 20-minute bus-ride from Llandudno to Conwy this morning, where you’ll be met by friendly and enthusiastic local guide and taken on a fascinating and fun private guided tour of Conwy Castle, the threatening medieval fortress that dominates the skyline here. Stepping down from the battlements, you’ll make your way to the impressive city walls – some of the most complete in Europe – to see the town from their elevated perspective. Later, you might like to drop in to Conwy’s famous 1920s ale house for a tasting session, before a stop at Plas Mawr, the beautifully preserved Elizabethan townhouse in Conwy’s centre. Wave goodbye to Llandudno this morning and take the short train-ride to the Alpinesque village of Betws-y-Coed, deep in Snowdonia. 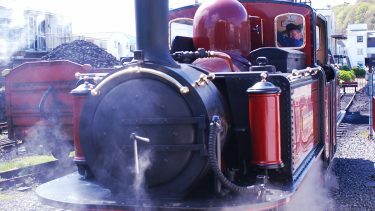 Here, pick up the first of your steam experiences on the Ffestiniog line service to Porthmadog. Travel in first-class style in original Pullman carriages, attended to by bright Welsh-speaking staff serving a full lunch menu with drinks as you chuff through some of Wales’s most evocative vistas. Upon arrival at the station, you’ll be met by a driver from your hotel and transferred there in comfort by road. 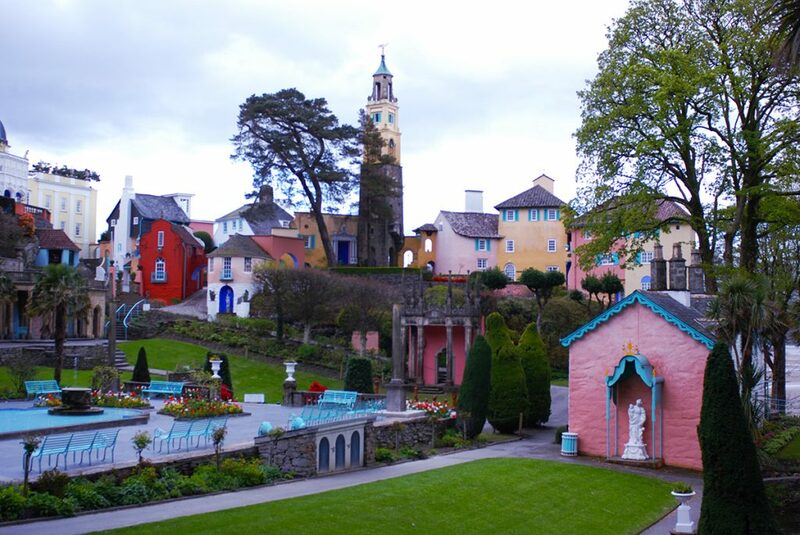 Little can prepare you for your first sight of Portmeirion, the eye-popping ‘idea village’ created by maverick architect and philanthropist Clough Williams-Ellis in the early-to-mid 20th century, and on which he continued to work until his death in 1978 at the age of 94. 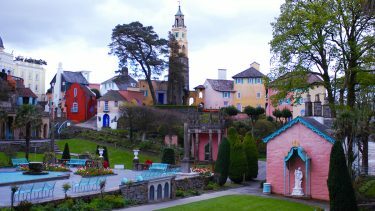 Modelled on the precipitous ancient towns of Italy’s Amalfi coast, Portmeirion is a riot of colour, seemingly spread across the cliffs overlooking the gaping Afon Dwyryd estuary. The surrounding, extensive Gwyllt (Welsh for ‘wildwood’) features a superb collection of exotic trees, plants and flowers, Japanese and oriental gardens, secret temples and pagodas and even a dog cemetery. The hotel features comfortable, unpretentious accommodation, coupled with opulent lounging and a striking art-deco restaurant (redesigned by Sir Terence Conran in 2005) where a fine menu of Welsh classics is served by friendly, Welsh-speaking staff. 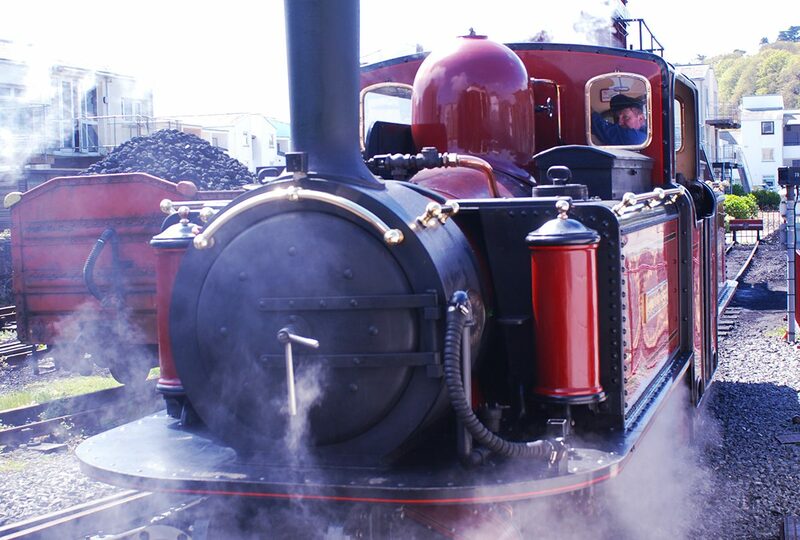 Enjoy breakfast this morning – weather permitting on the terrace – before you’re transferred to Porthmadog Harbour station to catch your second steam service, this time to Caernarfon. 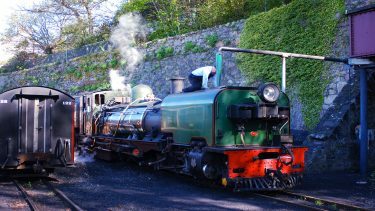 Travelling via stations at Bedgellert, Rhyd Ddu and Plas y Nant, once you reach Caernarfon you have plenty of time to explore this most overwhelming of castles and the medieval streets of the town built to serve it. Enjoy a glass of something special from the bar on the return journey, taking time to experience the beautifully restored, glass-sided observation car on the way back to Porthmadog. Here, you’ll be met by a driver and transferred back to your hotel. Today you’ll catch the train to Abergavenny. 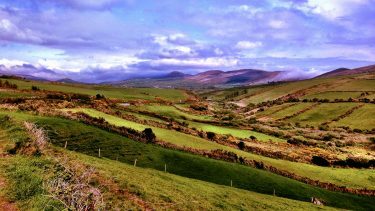 Travelling on the scenic Cambrian Line, the train makes its way down the gorgeous coast of Cardigan Bay before skirting the Cambrian mountains on the way to Shrewsbury, where you change for the short hop to Abergavenny. Here, you’ll be met by our specially chosen local driver, and transferred the 15-minute ride to your accommodation. Set just a short distance from the cute town of Crickhowell, your hotel in the Brecon Beacons is a family-owned country house hotel, where guests’ comfort is right at the very top of the list. 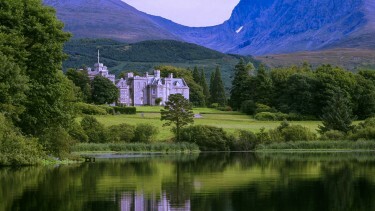 Long-established, with an enviable reputation for fine service, this imposing structure guards a peaceful haven within. Log fires crackle if needed in every guest lounge (there are several) while friendly, attentive staff and the charming owners do all they can to make your stay as comfortable as possible. Fabulous, mature grounds feature an abundance of rare trees, plants and wildlife and it’s easy to get lost here, perhaps with a picnic prepared for you before you set off. A day to explore at your leisure, perhaps the extensive grounds of your hotel or slightly further afield in Crickhowell. This morning you’ll enjoy a swift transfer back to Abergavenny, where you’ll catch your train to Cardiff, proud seat of the Welsh Assembly and capital of the kingdom of Wales. Once here, it’s a short taxi-ride to your accommodation in the smart Pontcanna district, just a 15-minute walk from the city centre and Cardiff Castle. In one of Cardiff’s leafiest locales, overlooking Caeau Pontcanna Fields, the huge grassy space that really has no place this close to a bustling city, your accommodation here is a small, family owned hotel, whose owners have done much to lift the level of service expected of local establishments. Spotless and supremely comfortable, each of the rooms feature all you need to relax after a long day’s discovery, while the cosy bar is the perfect place to take refreshment ahead of an evening out. Compact and easily navigable on foot, Wales’s capital city features striking modern architecture alongside fine historic buildings (including its terrific eponymous castle) glorious parks and gardens, several world-class museums and galleries, and an ever-growing number of innovative dining options. We’ll provide our hand-selected recommendations to help you make the most of your time in this fun and fascinating city. Take a taxi this morning, back to Cardiff Central to catch your train to Swansea. 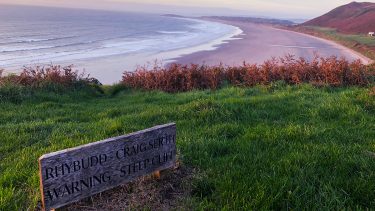 Here, you’ll be met by the very friendliest of local guides, and taken on a private tour of this most captivating corner of Wales, whose hidden beaches, soaring cliffs and secret coves could easily come from some faraway land. Your guide, a lifelong native of the Gower, will help you uncover some of the Gower’s best-kept secrets, stopping at an out-of-the-way inn for lunch as you go. Set on a hill overlooking the town of Mumbles, your accommodation here is a family owned guest house whose modest exterior hides the very essence of Welsh charm within. Just four stylishly appointed bedrooms feature, with elements of reclaim and up cycle evident throughout, while the bookcase filled with every conceivable OS map tells you all you need to know about the intrepid owners and their guests. The seafront and marina at Mumbles is a few minutes’ stroll down the hill, where you’ll find quirky shopping, friendly bars and inviting cafes and restaurants. The seafront and marina at Mumbles, gateway to the Gower, is a few minutes’ stroll down the hill from your accommodation, where you’ll find a fine 18th-century lighthouse, a Victorian pier, the arresting rocky coastline of Bracelet Bay Beach, quirky shopping and galleries, friendly bars, inviting cafes, as well as restaurants waiting to make your evening go with a zip. Your host will be happy to arrange a taxi this morning to take you the short ride back to Swansea for your next train journey to Penally, a unique ‘request-stop’ on this line, built to serve your hotel here. When you arrive, friendly staff from the hotel will meet you off the train and transfer you up the hill to your accommodation. Recently saved by the current owners from near-dereliction, your accommodation in Penally is a remarkable property, where Georgian and Victorian features blend seamlessly with modern elements to create a very relaxing place to stay. As well as the beautifully appointed bedrooms – many with vast picture windows looking out across the gardens to the coast – the in-house restaurant has quickly risen in acclaim to become one of the best in the region, serving a tempting menu of reliable Welsh classics given a Pembrokeshire twist. 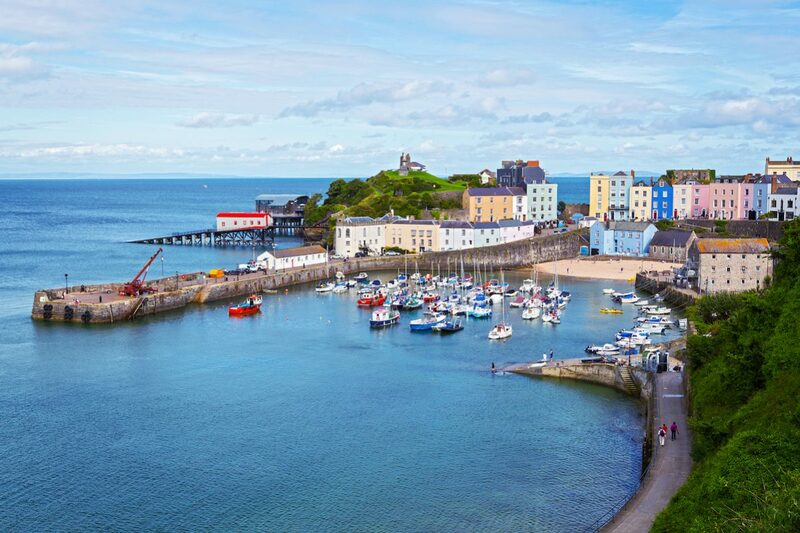 Staff at your hotel will arrange a taxi to take you the short ride to Tenby, one of the most historic and picturesque places in south Wales. You’ll be met here by our specially chosen local guide and taken on a unique ‘chronological’ history tour, telling the story of the town’s pre-history, inception, medieval growth and Victorian heyday via its streets, houses, churches and monuments. After breakfast this morning, you’ll be collected by another of our terrific local guides and taken on a private Land Rover safari around the most arresting locations in Pembrokeshire. Your tour will take you through the spectacular Preseli Mountains and along the north Pembrokeshire coast towards Britain’s smallest city, St David’s. Highlights of the trip include Pentre Ifan Burial Chamber, the Gwaun Valley and Porthgain Harbour. Cameras essential! At tour’s end you’ll be dropped at your accommodation in St David’s. Just a few minutes’ walk from the city centre, your hotel in St David’s is a recently created hotel, whose unfussy exterior gives no indication of what awaits inside. Owned by an acclaimed local architect, every possible detail has been carefully considered, from the extensive collection of locally sourced art, to the very finest fixtures and fittings that feature throughout. This is an indulgent treat of a place at which to spend the last two evenings of your holiday. St David’s centre is just a stroll away, and what a surprise this place is. The UK’s smallest city, with a population of just 1800 or so, on the face of it St David’s seems little more than a hamlet. 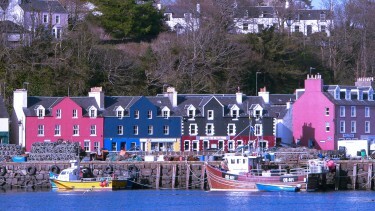 However, the city holds more quality dining options per head than anywhere else in the UK, and its community of artists and artisans help fashion a unique atmosphere, where innovation in creativity lives side-by-side with tradition. 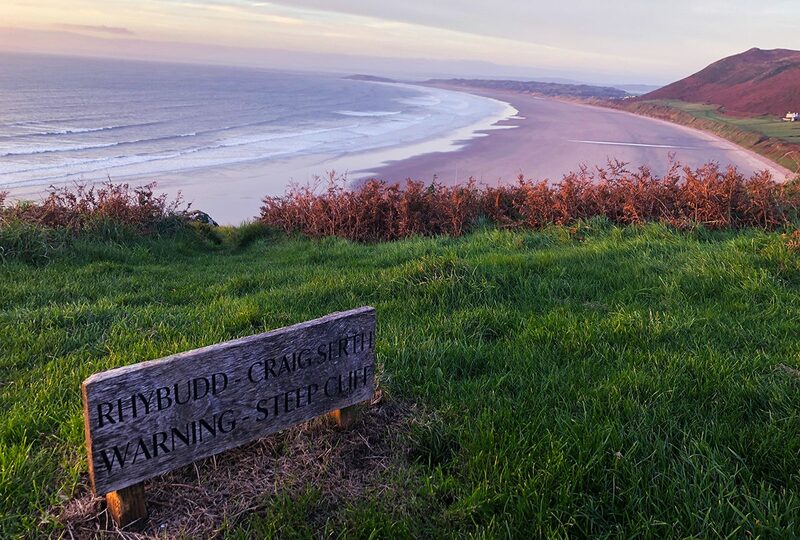 Moreover, within a stone’s throw you’ll find the fabulous beach at Whitesands, a surfers’ paradise where you might be lucky to see a classic Welsh midsummer sunset. Set off from St David’s this morning with our specially chosen and hugely experienced local guide, for an evocative boat-trip off the Pembrokeshire coast. 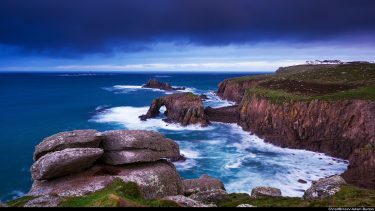 Weather permitting, you’ll head for one of the offshore islands where puffins, gannets and Manx shearwater gather in astounding numbers, and enjoy views of the coastline as good as any in Europe. Enjoy a final Welsh breakfast this morning before boarding the train for Cardiff mainline station – again, just let us know if we can assist with information and booking concerning any onward connections as you make your way home. This comprehensive 14-night rail tour begins in Llandudno then includes stays in Portmeirion, Brecon Beacons, Cardiff, the Gower Peninsula, Penally and St. David’s. £2250 per person in March & September, £2300 per person in April & October and £2395 per person from May to September. 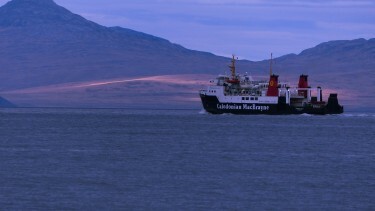 Price is based on two people sharing a double or twin room for 14 nights on a B&B basis. 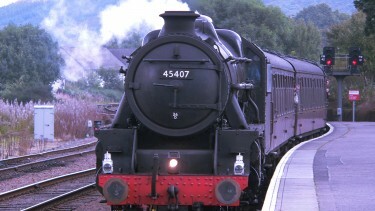 Train travel within Wales – both on regular BR and special steam services – is also included, as well as a private tour/transfer from Llanrwst to Betws-y-Coed, private return transfer to Bodnant Garden, private tour/transfers from Swansea to the Gower Peninsula and Penally to St David’s and transfer to and from your accommodation in Penally and St David’s. Private walking tours in Conwy, Crickhowell and Tenby are also included, as is a boat tour from St David’s as part of a small group. We would be delighted to help facilitate train travel to and from Wales from and to your chosen start and end points. This holiday is available from March until the end of November. Other Holiday Ideas to Inspire You.